Definition: Direct store delivery (DSD) is a key method of selling and distributing products directly to a store often through a merchandiser or wagon-jobber. How can direct store delivery maximize your profits? Mr. check out distributors is the nation’s largest network of direct store delivery wagon-jobbers, rack-jobbers and merchandisers. Direct store delivery (DSD) is the most direct method of distributing your product to independent retail stores. Wagon-jobbers, rack-jobbers and merchandisers around the country handle several categories of products from food and beverage to personal care products. They leverage their relationships to the store owners to place new product in a store where traditionally the store owner wouldn’t take a risk on a new product line or category. Direct store delivery (DSD) is a process that is often used to directly distribute products to the stores point of sales (PoS) or point of consumption (PoC). 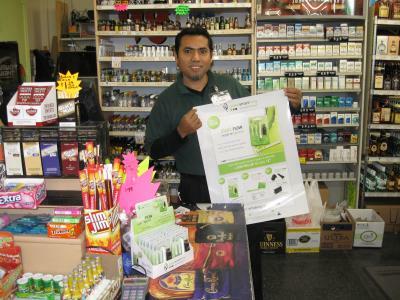 This often includes other marketing items “in-store” such as static cling window stickers or pop up displays in the store. When you use DSD you will be sending your product in bulk to the distributor themselves, they break down the case and assemble any point of sale displays. This alternative distribution model is not centralized, rather individual to the distributor or rack jobbers territories. DSD providers often also distribute products such as novelties, food and beverage and personal care products. Typically the DSD model has been used by products such as milk and bread where days on the shelf is important to the sale.